Hippos may look comical, their large size and bumbling gait effectively disguises the fact that they are effective hunters and unbelievably strong. Hippos are one of Africa’s most iconic and instantly recognizable animals, standing proudly alongside giraffes, elephants, and lions. The release of the movie Madagascar 2 gave the hippo a burst of renewed popularity as audiences around the world saw the creature portrayed as handsome, attractive, and friendly. Despite their comical nature, hippos have for a long time been on the list of the most dangerous animals in Africa. This has made them irresistible quarry for hunters, particularly hunters who are travelling in from abroad and who haven’t previously had a shot at this unique prey. Although their fearsome reputation is backed up by their brute strength, the reality is that hippos aren’t all that aggressive. Instead they are highly territorial and, much like humans, the older they get the more temperamental they become. Hippos have a domineering size, and knowing their power, and seeing those fearsome teeth up close, can frighten off even the most hardened hunter. However, despite all the signs that they give off, hippos will turn and flee at the first sign of danger. While they will fight one another with a ferocity which can be highly disconcerting to witness, they conduct these fights in their own patches of water. When challenged on land, their first response will be to turn and flee towards the water. 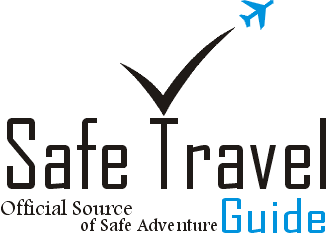 If you are heading out on a hippo hunting excursion then you will want to bring an experienced guide with you. These guides will be able to lead you to patches where hippos congregate and will be able to talk you through the process of taking aim and ensuring that you take out your target in a single shot. An agitated and wounded hippo is unpredictable, you don’t want all that strength and weight being thrown around with little to no aim or control. Hippos live in family units. Female hippos are called cows while male hippos are called bulls. Usually the cow will stand guard over the young while the bull is responsible for keeping their territory secure and fending off any challenges. When a challenge occurs, it is not uncommon for two bulls to fight to the death, however in many instances the younger male will simply turn and fall when it becomes clear that they have lost. It is important not to get too close to the family group. Hippos are usually hunted while they are either in the water or on the riverbank. In order to preserve population numbers, it is usually only bulls that are hunted, allowing the cow to raise their young. Despite their ferocious fighting skills, their impressive size and strength, and their tough skin, hunting a hippo is remarkably easy. 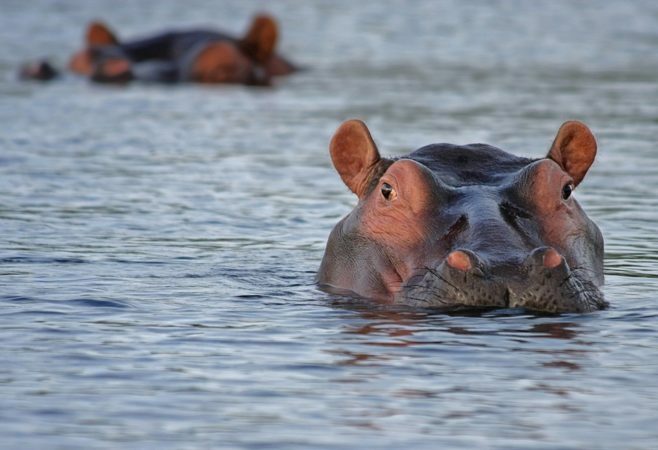 Hunters simply wait until they have a clean shot of the front of hippo’s head, either when their head is above water or they have stepped out onto land, and shoot them between the eyes. This is guaranteed kill shot every time and is usually taken from at least 50 yards away. Hunting a hippo is a unique experience, but it is also a very easy hunt. The real attraction here is in seeing these magnificent beasts and in taking down an animal that possesses such great strength.